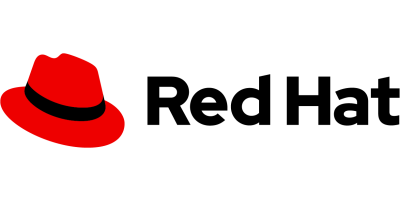 Flock is the Fedora Project's annual contributor-focused conference. It alternates between European and North American locations. The conference provides a venue for face to face meetings and conversations. It is also a place to celebrate our community. What will we do at Flock? Plan the Next Strategy. This strategy doesn't come from the top down, or from thin air, and it's not dictated by our sponsors. It comes from the community. Because we're so big and distributed, Flock can't be the only place where we get new ideas, but it is a summit where we present, learn about, and discuss them. Build Community Connections and Engagement. We do amazing work as a global project, but there's no substitute for direct human interaction. Flock helps tie us together. In-person discussion, collaboration, and fun social events help us function better on IRC and mailing lists throughout the year. While Flock is open to anyone, the majority of talks at Flock are focused on existing contributors and those looking to increase their involvement. There is almost no solely user-focused content. Flock will begin the morning of Thursday, August 8. Sessions will continue each day until Sunday, August 11. You should plan to arrive by Wednesday, August 7 and to depart no sooner than Sunday afternoon for the best experience. The Flock attendees mailing list is the primary means of communication for attendees of Flock. You should subscribe to this list if you plan to attend. Our main IRC channel for the event is #fedora-flock on irc.freenode.net. Telegram is used as a quicker way to communicate during the conference with mobile devices and/or laptops. We have an official group you can join to participate in the conference at @flocktofedora. You can join by clicking this link. Sponsorship opportunities are still open. For information, contact flockinfo@fedoraproject.org.